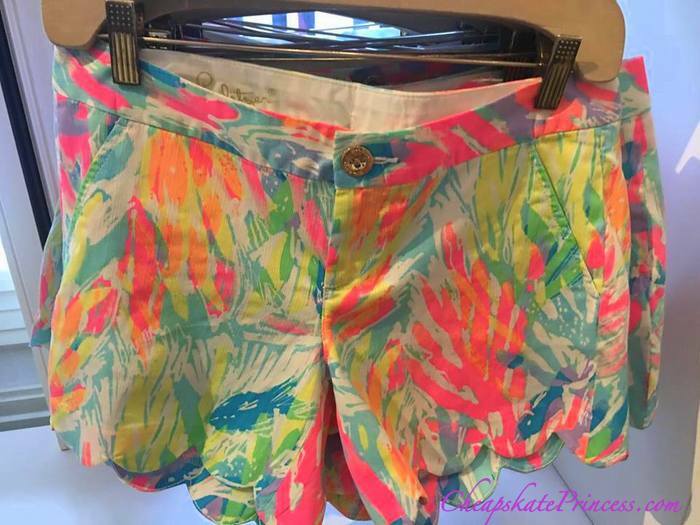 Lilly Pulitzer, a rather pricey upscale brand of vacation-ey clothing, has been sold at the Grand Floridian Resort and Spa Gift shop for years. 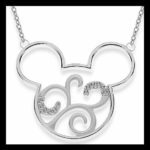 Since the Grand is considered to be the flagship of accommodations for Walt Disney World, what better place to sell $100 shirts and $200 dresses? And prices only go up from there. 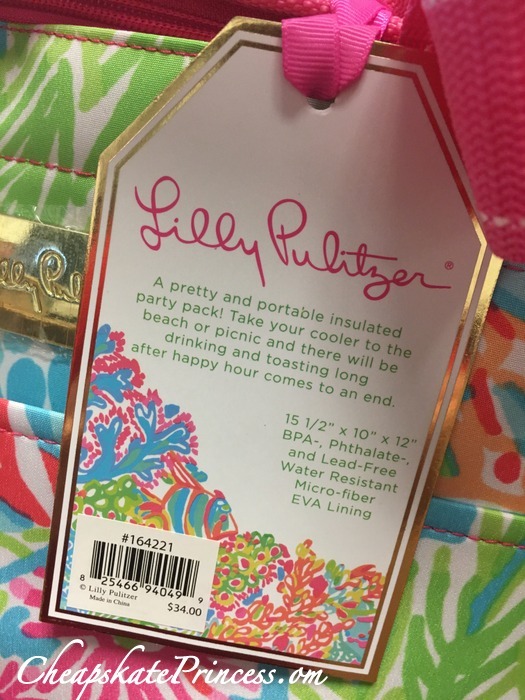 Just who is this fancy Lilly P.? 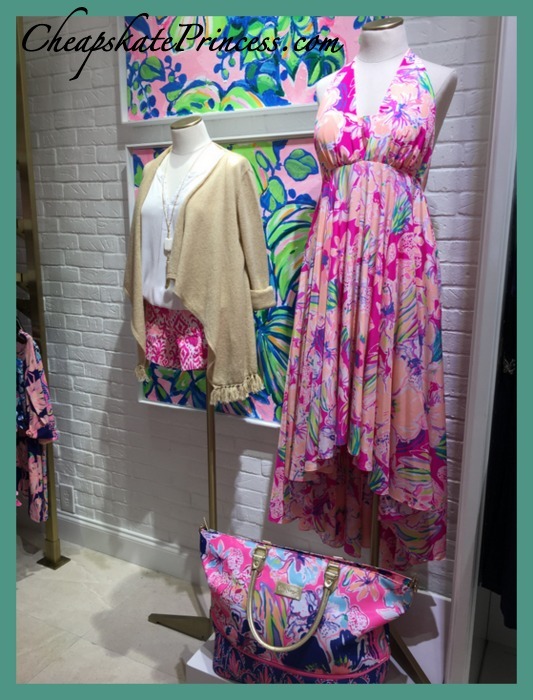 The Lilly Pulitzer store in Disney Springs. Lillian Lee “Lilly” McKim was born into a socialite family, and she and her husband, Peter Pulitzer, settled in Palm Beach, Florida, shortly after their marriage. Lilly opened a juice stand to sell produce from their Florida citrus orange groves, but in a now famous story, she found squeezing juice made a huge mess on her clothing. In an effort to hide the juice stains, she designed a sleeveless shift dress made with bright, colorful printed cotton. When customers told her how much they loved her dresses, she produced more and sold them at her juice stand. 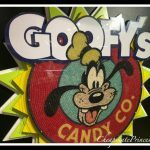 You probably never even knew you needed one until you stepped into a Disney World shop filled with them. 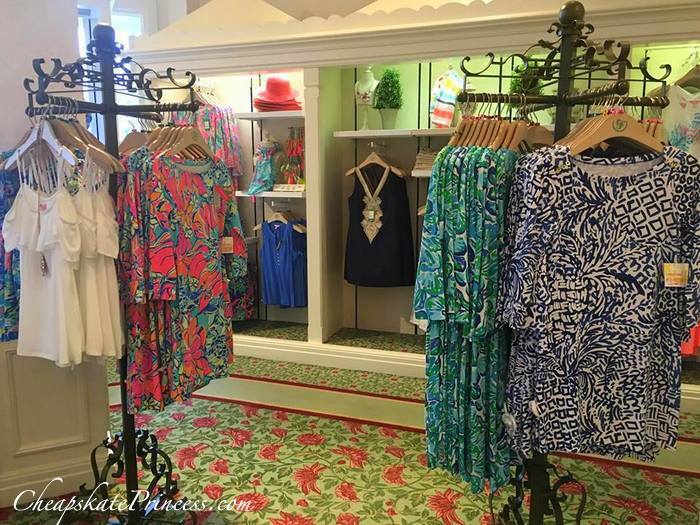 The Lilly Pulitzer store at Disney Springs. 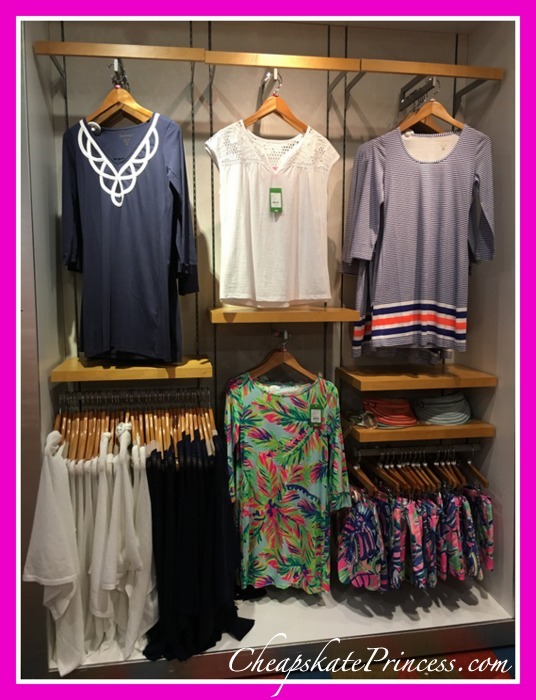 Along with women’s clothing, the company also produces children’s clothing, swim wear, shoes, jewelry, accessories, bedding and stationery. Lilly never wanted to produce clothing that was suited for the colder months. “It’s always summer somewhere,” she was quoted as saying. Good Lord, no truer words may ever have been said about the temperatures in Orlando. In accordance with Mrs. Pulitzer’s reported preferences, the dress was to be worn with bare feet and was lined, in order not to require underwear. That’s scandalous stuff for vacation attire! 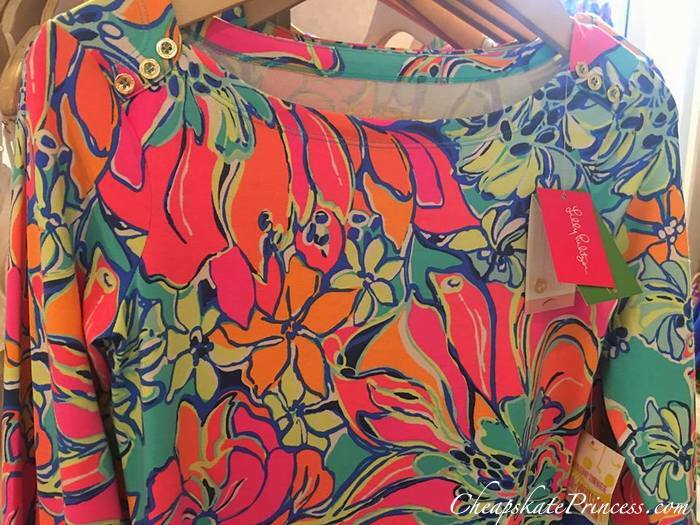 With all that Lilly does, she reportedly follows the motto, “Everything is possible with sunshine and a little pink,” which very accurately represents her fun and vibrant fabric designs. 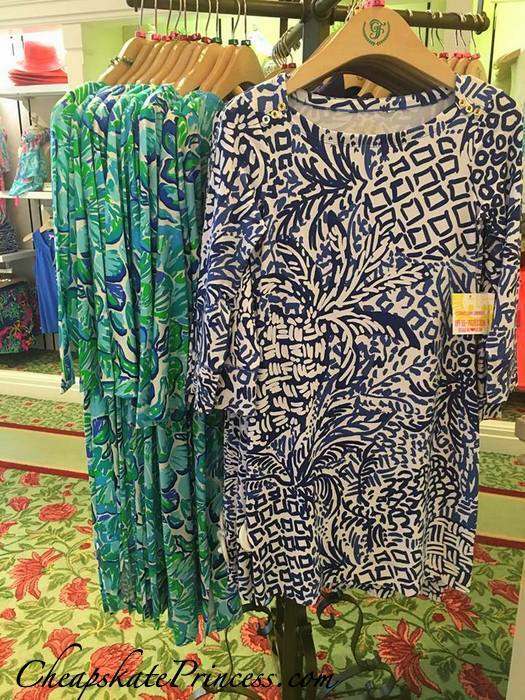 Every Lilly print hides a surprise. “Lilly” is painted into each one. If you look closely at your modern or vintage prints, you’ll find it. 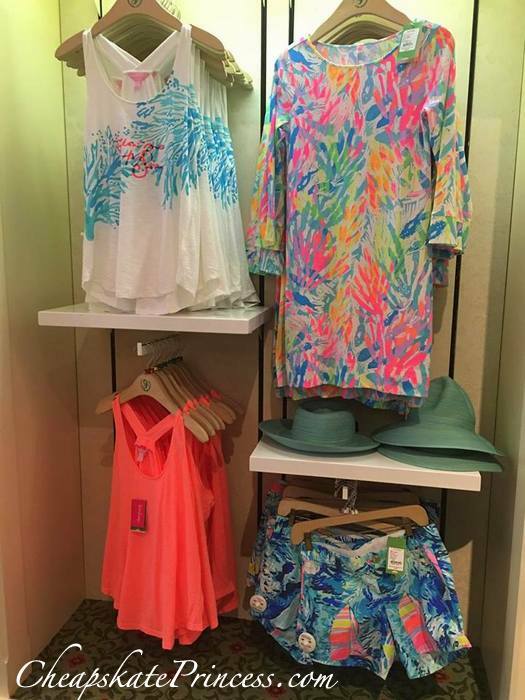 Other pricey Disney resorts have begun to carry the Lilly brand as well, including the Contemporary Resort. 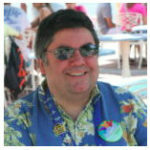 If you resort hop at the monorail resorts, you’re going to see Lilly designs. 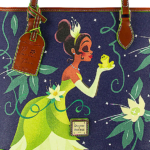 Read: Check Out the New Disney & Bourke Tinker Bell Handbags! 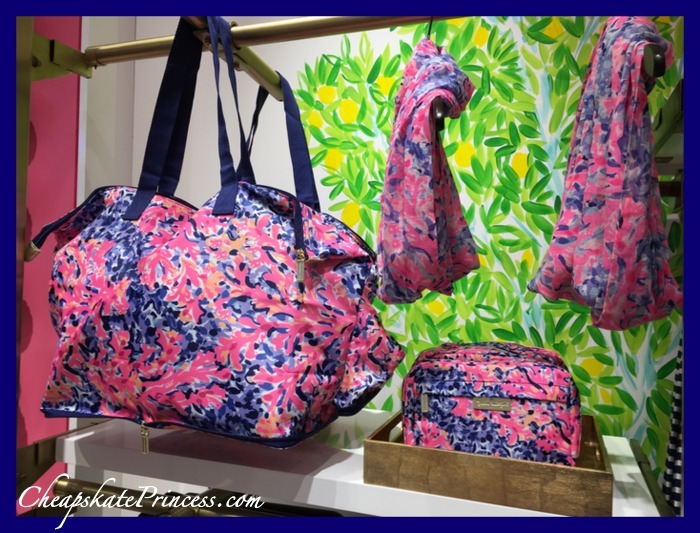 Lilly Pulitzer at the Contemporary Resort. 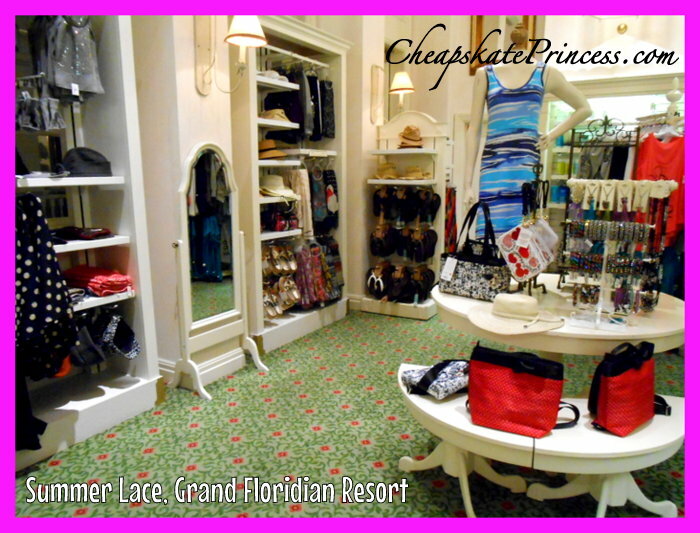 The Contemporary Resort selection is nothing compared the number of items they carry at the Grand Floridian’s Summer Lace store. 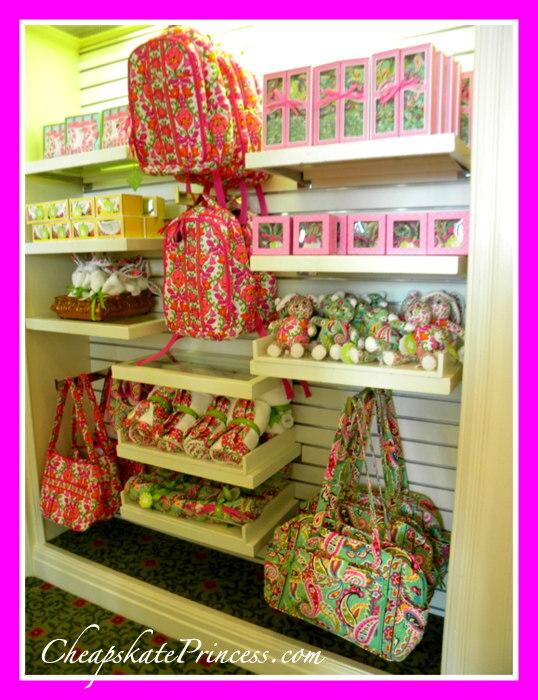 In addition to lots of Pulitzer merchandise, the Grand Floridian also carries a vast assortment of name brand merchandise, including Vera Bradley, Dooney & Bourke, Vineyard Vines, and more. This certainly isn’t your typical cheapskate shopping, but sometimes it’s nice to reward yourself with an extravagance, especially since all the shops are so lovely to spend time in, whether you plan to make a purchase or not. 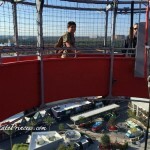 It’s called window shopping, and look at these windows! 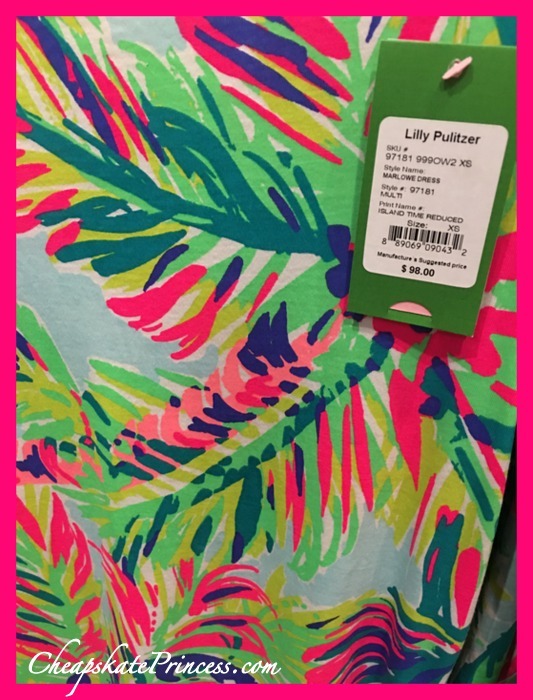 The Grand has been carrying Lilly for years, and I know this because I have long looked at the prices and wondered how many of these clothing items they sold each week, given the high price. 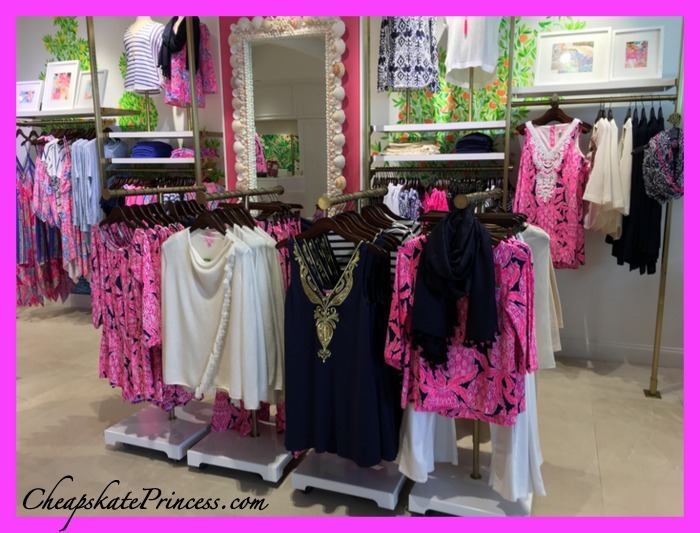 Lilly Pulitzer merchandise at Summer Lace in the Grand Floridian Resort and Spa. 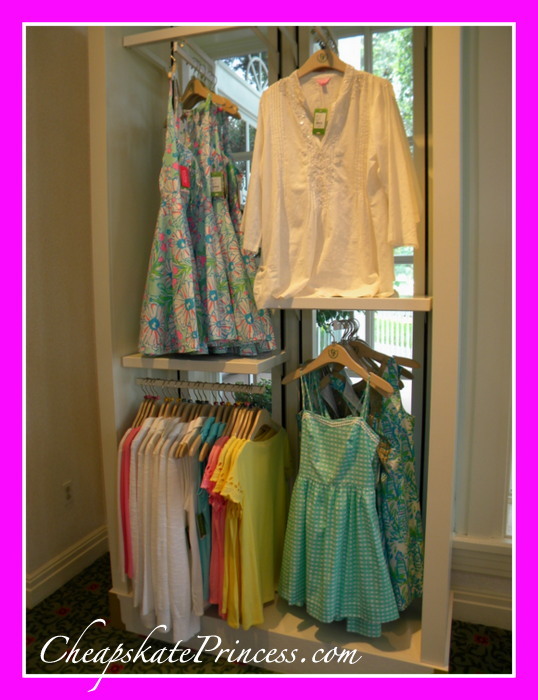 Lilly Pulitzer at Summer Lace in the Grand Floridian Resort and Spa. 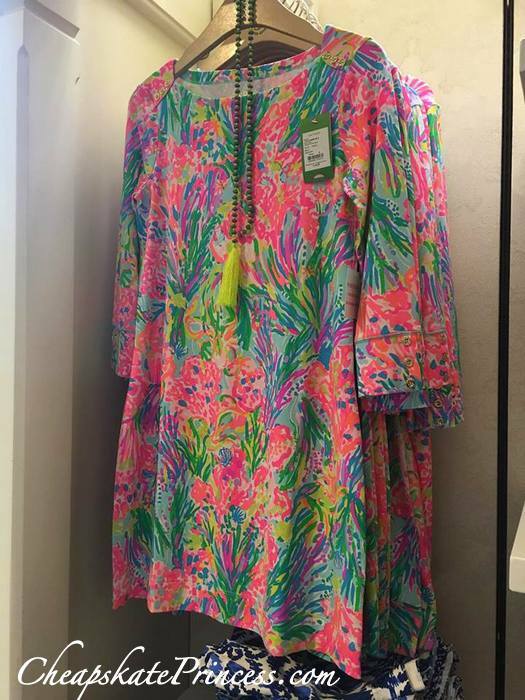 There is also a Lilly store fit for a Disney Princess at the Mall of Millenia, which is about 20 minutes away if you wanted to drive over.. Most people won’t think about shopping for high-end clothing as being a part of their vacation, duh, especially cheapskates like me and those on a tight budget, again, like me. 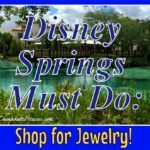 However, souvenir items are changing as fast as Disney Springs is being upgraded into a shopping, dining and entertainment mecca in Orlando. And believe it or not, sometimes you can find a bargain or two. 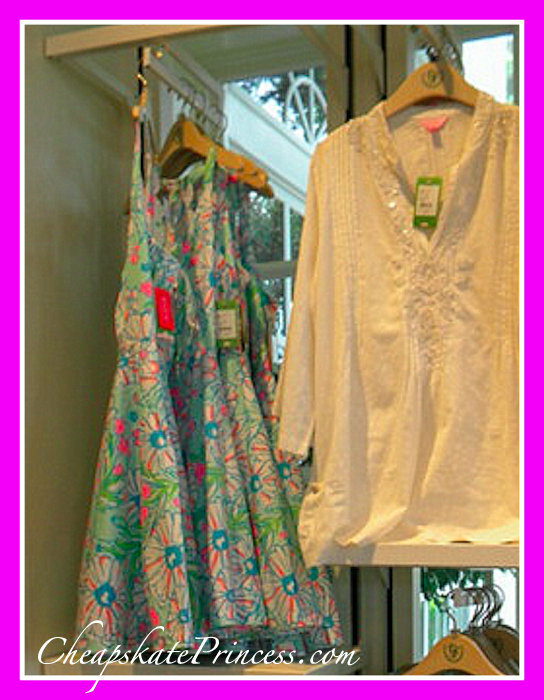 Or in a Lilly store, maybe you’ll find several favorites but just one bargain. See, there was a cheapskate item hidden here within all this luxury. 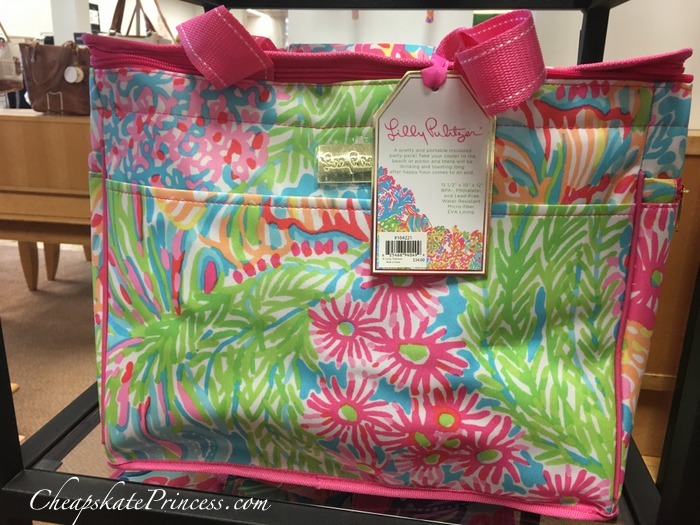 This lunch tote, which I personally use as a piece of luggage, was just $34 before tax. It wasn’t on sale, and it will never go out of style. Cheapest thing in the store. 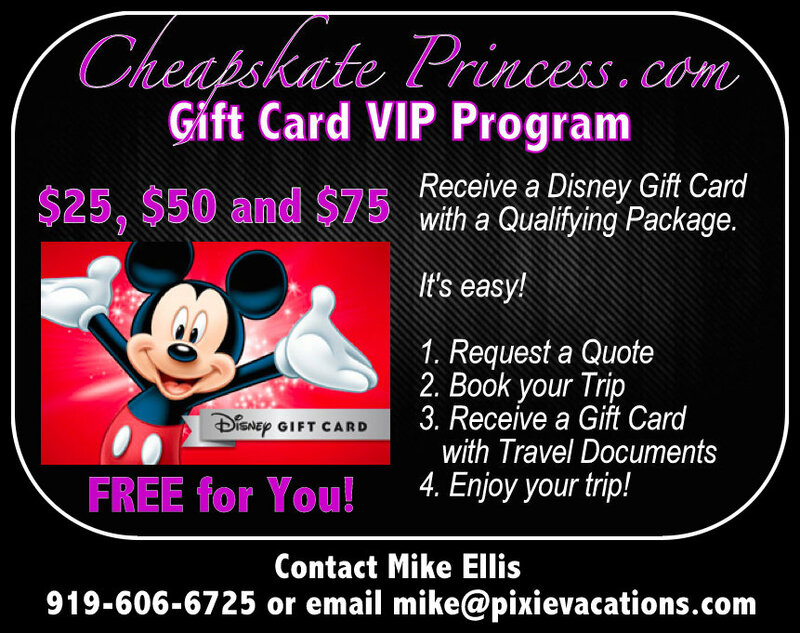 So prepare yourself for your next Disney vacation. 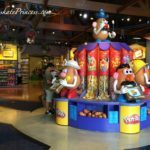 You will be visually overwhelmed by gifts and souvenirs at every turn. Sometimes it’s nice to bring home a fancy shirt you can wear to work or dinner, or a bag you can pack full of Mickey t-shirts for your next trip.